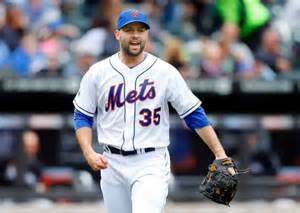 Could Mets and Braves match up on a Dillon Gee trade? 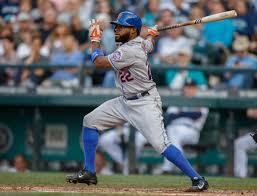 With Michael Cuddyer now in the fold, the Mets payroll is close to $100 million. It won’t stay at that number all winter as many veterans such as Daniel Murphy, Bartolo Colon, Dillon Gee and Jon Niese could be traded for prospects to save money. The rival Atlanta Braves are actively looking for a back end starter to give them innings. According to David O’ Brien of the Atlanta Journal-Constitution, the Braves are willing to listen on any of their young power relievers not named Craig Kimbrel. The Mets have made it known they are looking for a second left-handed reliever to compliment Josh Edgin in the bullpen and the Braves have an exceptional lefty in Luis Avilan who is still just 25. So why would the Braves trade Avilan? Well he is coming off a rough year where he had a 4.57 ERA in 62 games. His advanced peripherals (4.24 FIP) don’t suggest he was better than his ERA in 2014. Avilan had an ERA of 2.00 and 1.52 in 2012 and 2013 respectively. The reliever has always been deadly on left-handers though with a .195 batting average against left-handed bats. Avilan won’t be a free agent until after the 2018 season. With the Braves actively looking for a starter and the Mets looking to dump one, perhaps these two rival teams can match up on a trade. 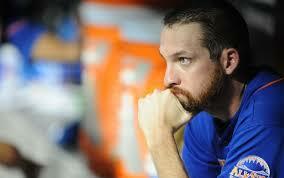 With Dillon Gee expected to make $5 million in arbitration next year he could be the New York pitcher moved. Gee, 28, won’t be a free agent for two more seasons and could help bridge the gap until some of the Braves young pitching prospects such as Lucas Sims and Jason Hursh are ready. Gee is 3-1 with a 2.23 ERA at Turner Field in six career starts. Again this is just speculation but it does make sense. Sandy Alderson and new Braves President John Hart won’t be afraid to deal within the division and the Braves plan on dealing from the excellent relief core to add a starter who can give them length in games. That’s exactly what Gee has done when healthy.